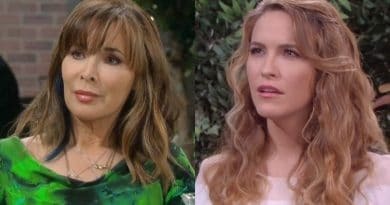 ‘Days of Our Lives’ Spoilers: Jordan Sends Rafe To California – Secret Child Sparks Custody War Back in Salem? ‘Days of Our Lives’ Spoilers: Jordan Shocks Rafe – Is There a Love Child? 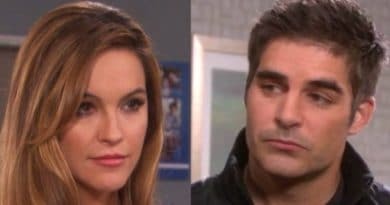 Days of Our Lives spoilers tell us Jordan Ridgeway opens up to her ex Rafe Hernandez (Galen Gering) about her recent trauma. She’s not the same woman she was when she left Salem and he’s surprised. 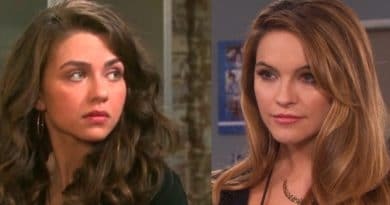 Days of Our Lives spoilers reveal that Jordan Ridgeway sneaks into Ciara Brady’s hospital room after her rescue with a syringe. 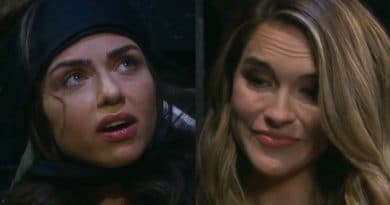 Days of Our Lives spoilers reveal that Ben Weston realizes he is being set up for Ciara Brady’s kidnapping. Could he be onto Jordan Ridgeway? Days of Our Lives spoilers reveal that Rex Brady runs into an upset Jordan Ridgeway. The interaction between these strangers is not to be missed on DOOL this week. Days of Our Lives spoilers say Jordan Ridgeway wants baby brother Ben Weston back in Bayview because she thinks he’s a danger. But she’s the nut! 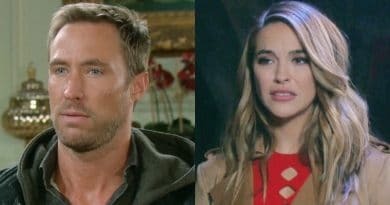 Days of Our Lives spoilers reveal that Jordan Ridgeway kidnaps Chad and Abigail’s baby daughter Charlotte DiMera on DOOL but why? ‘Days of Our Lives’ Spoilers: Jordan Ridgeway Returns – Trouble For Rope? ‘Days of Our Lives’ Spoilers: Will Jordan’s Return End Rafe and Hope? 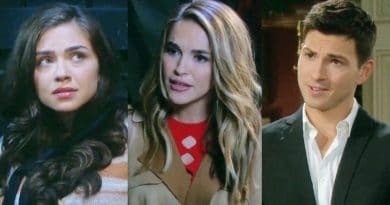 Days of Our Lives spoilers reveal that Jordan Ridgeway returns to Salem, which could potentially cause Rafe and Hope relationship drama. 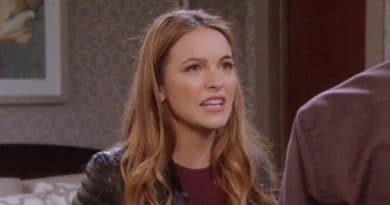 Days of Our Lives spoilers confirmed Jordan Ridgeway’s (Chrishell Hartley) return. 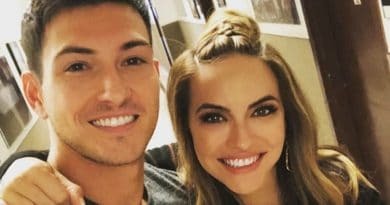 A new report says Jordan may be back with a baby!